Well it's been waaaay too long since I've posted anything and I'm sorry. I haven't really done anything finished in a long time, which is my ongoing struggle as an artist. My usual excuse is that summer has been busy for me at the park, but summer is over now and I'll be spending more time getting myself ramped up for the NCN Caricature convention. If you've never heard of it, its basically a huge week long draw-fest for caricature artists all over the world. Go check it out! In the meantime here's some stuff to look at. 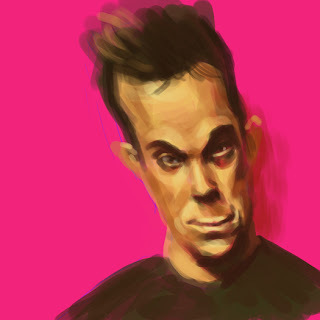 First off are some caricature speedpaintings I did to post on the NCN forum. 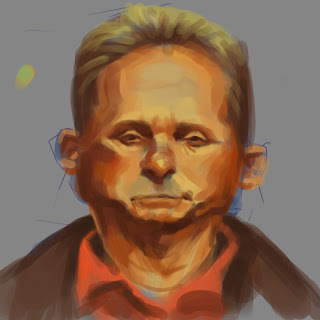 Basically its an exercise where you digitally paint a caricature of someone from scratch in a very limited time. You just time yourself for an hour or half an hour or whatever and just try to get as much done as you can in that time. Most of the other artists' posts are way more finished looking than mine, but thats a good thing because it gives me something to work towards. 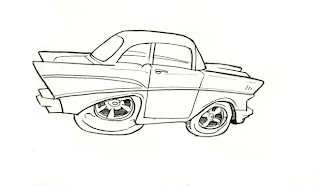 And since I love drawing cars so much and want so desperately to get good at it, here are some sketches I did today. I hope to give some color to these at some point. 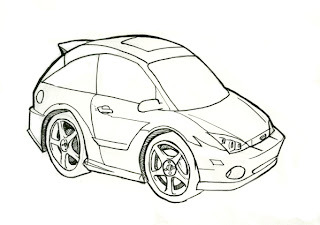 This one is my Focus SVT. Thats my baby. And this is an awesome car I saw in a parking lot one day. And here is another one I started today. 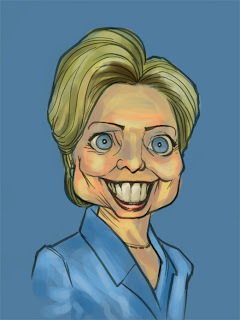 A work in progress of Hillary for my website. Thats all for now. I promise to be better about updating this thing. Thanks for being patient in the meantime.